A single ply membrane from a roofing company in Tampa, FL is essentially a blend of rubber and plastic. The result is an energy-efficient and reliable roofing product that will provide longevity and lower overall costs. The chemical composition and formulation resist degrading over time due to UV rays, ozone, and chemical exposure. Single ply roofing membrane systems provide versatility, strength, and long-lasting endurance. The inherent benefits include the flexibility in attachment processes, the consistent quality of manufacturing, and broad industry applicability. The principal characteristic of single-ply roofing membranes is design feature of one-layer installation. They also exhibit great adaptability, and their resistance to ultraviolet radiation is superior compared to other options. Regardless of which roofing system you select, correct installation and routine maintenance is a necessity, including regular inspections. When you are looking for a qualified roofing contractor, make sure the Brandon and Tampa roofing companies you research are trained to install single ply roofing membrane systems, such as Dynamic Roofing Concepts. Single ply roofing membrane is an attractive alternative for restoring a metal commercial roof. 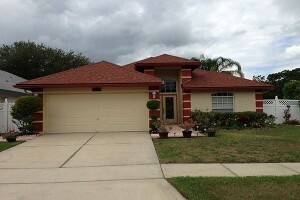 For single-ply membrane roofing in Clearwater, FL and Carrollwood, trust the experts at Dynamic Roofing Concepts. Contact us today to schedule a free estimate.